The Watergate affair was the most controversial political scandal to ever come out of the Oval Office and, along with Vietnam, marked a turning point in Americans’ distrust of the government. 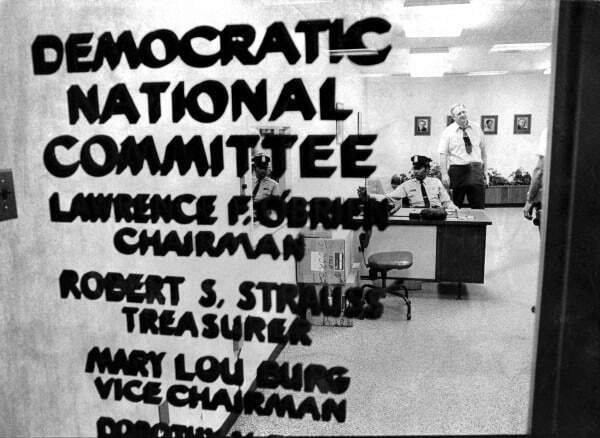 On June 17, 1972 five men were arrested as they tried to break into the Democratic National Committee (DNC) headquarters at the Watergate complex. It was later discovered they had initially entered the DNC offices on May 28th and wiretapped two of the phones. However, the listening devices needed to be repaired, which led to the second burglary. 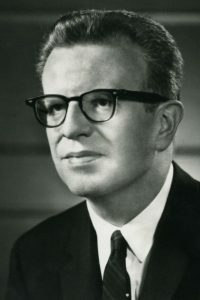 The men were connected to the Committee for the Re-Election of the President (CRP, but mockingly referred to as CREEP), which directly tied President Richard Nixon to the scandal. To make matters worse for the White House, noted columnist Jack Anderson in a February 1972 article revealed a memo from a lobbyist to ITT Vice President Bill Merriam, which appeared to draw a connection between ITT’s contribution to the 1972 Republican National Convention and the favorable settlement of a Justice Department antitrust lawsuit. This led to a separate Senate investigation and the threat of criminal charges. Over the next two years, the FBI and several newspapers, most notably The Washington Post, conducted extensive investigations in which several unsavory “dirty tricks” came to light, including bribery, bugging the offices of political opponents and people deemed to be “suspicious,” and harassment of activist groups and political figures using the FBI, the CIA, and the IRS. Although Nixon had originally denied any involvement in the break-in, it became clear that he directed the cover-up. 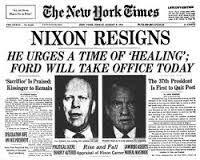 He eventually resigned on August 9, 1974. Robert S. Strauss in 1972 worked as the Treasurer of the Democratic Party and interacted with many of the major players in the Watergate scandal, including Nixon, National Security Advisor Henry Kissinger, and Chairman of the Democratic Party Larry O’Brien. He offers first-hand insight to the events leading up to Watergate, namely, ITT and the suspicious financial contributions to the Republican Party. (He later served as the Ambassador to the Soviet Union from 1991-1992 under President George H.W. Bush.) He was interviewed by Charles Stuart Kennedy beginning October 2002. 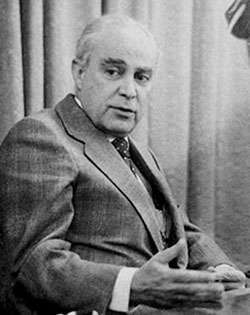 Winston Lord served as Special Assistant to the National Security Advisor (1970-73) under Kissinger and later as Ambassador to China from 1985-89. At the time of the break-in, he had access to the inner workings of the administration. Because of that, he was one of the staffers whose phone was tapped. In his interview, he talks about Kissinger’s leadership during the Watergate scandal and the work environment at the NSC. You can read Lord’s account of Nixon’s historic trip to China as well as more on Strauss’ tenure in Russia. I said, “Now, let me tell you, I don’t think we’d take it. We don’t have anything going for us much, and I’m not sure at all that Chairman O’Brien, who has the final say on this, would want to take it or not, because this story could grow into something and we have so little going for us right now.” Keep in mind this was Nixon’s re-election campaign [in 1972] and we really were not in the race. Q: And McGovern was the candidate who was seen as a loser. 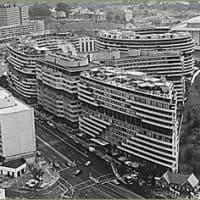 He said, “I understand that.” So we were over in the Watergate building, as a matter of fact, where we had our offices, and O’Brien (pictured) and I went downstairs to a club the Democratic Party had and had lunch. I called him for lunch. He had an engagement. That was the first break in that story. This reporter out there was working on this story and they couldn’t shut her up, and that was the beginning of the Watergate story. I’ve thought about it many times. So O’Brien jumped on the story. I did say to him, I’ll never forget, “Larry, keep my name out of this damn story, because I think it’s probably a wild goose chase. I think we ought to blast it, but I’d just as [rather], since you’re going to do it, leave me out of it.” He laughed and we laughed. So he kicked the hell out of the Republicans with that story, and everybody was enraged that he made a suggestion that the Republican National Committee or, even worse, people representing the White House could be involved in a burglary. Well, you know what happened. They were deeply involved and it eventually brought down a President….The ITT matter went on to become a major, major event. It led to the Watergate break-in, it led to a lot of other things, and it was a turning point and, I think, was basically responsible for Jimmy Carter much later being elected President. He ran on “I’ll give you a government as good as the American people themselves,” obviously talking about Watergate. I guess that’s a pretty roughly told story of how that all happened…. Q: At this point what was your feeling about Nixon and his crew around him? STRAUSS: I thought they were a bad lot, I really did. The interesting thing is in my case I developed a more favorable impression of Richard Nixon after his disgrace than I had before.…He and I agreed on China and several other issues that there wasn’t much support for. He invited me for dinner, and we had several nice dinners together at his request, although I must say that I don’t think any better of him nor do I think any worse of him, but I had a better relationship with him than most people, and I appreciated several things about him. 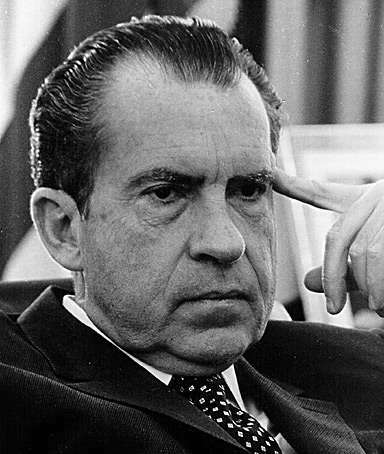 I think Richard Nixon could have made a first-rate President. He understood the Presidency. He was right on some very big issues, he was right, and he was ahead of his time on those issues. They were progressive issues. His was not an arch-conservative administration. And he just blew it. It was that paranoia that got him. Q: It’s interesting because I’ve talked to many people in the Foreign Service who dealt with Richard Nixon when he was Vice President and President and they came away from that with a great deal of respect for the man. STRAUSS: I would think so. But you have to remember one thing about Richard Nixon: He was uncomfortable around people. He was an uncomfortable man, and he was uncomfortable around people. One or two friends was about all he was comfortable with, and his wife. I’m not even sure how comfortable he was with her. With his two daughters he was very comfortable…. Q: What was the feeling at this time from your perspective towards Henry Kissinger? STRAUSS: I liked Henry. Henry and I were friends, and he used to kid me because I spoke before the Democratic Convention in I guess it was ‘72 and I took on Kissinger and one or two others and tied them all up with Nixon. But I liked Henry then and he me, I think, and I like him now. You talk about people in politics. Do you realize how long it’s been since Henry Kissinger was in office, and he has more power, I think, today because of his position and his posture before the American people and the world maybe than he did when he was Secretary of State. It’s an amazing performance he’s turned in. LORD: It was a process of incremental awareness, just as it was for more or less every American. That was true for Kissinger as well as for myself. He didn’t know anything about the Watergate affair. He really didn’t know. For all of us it was a process of becoming incrementally aware of what had happened and of the seriousness of it. It wasn’t even a blip on my radar screen while I was at the NSC. 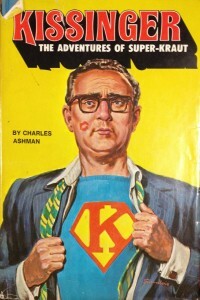 I don’t believe that Kissinger was aware of its significance before 1973. Of course, this all began during the 1972 Presidential elections campaign. The stupidity of it is well known, not to mention the fact that by the time the burglary of the office of the National Democratic Committee occurred, it was clear that President Nixon was going to win reelection by a landslide in any case. So it wasn’t necessary. Then, of course, there was the stupidity of the cover-up. However, none of us knew anything about all of this up to and through the elections of 1972. I think that there was a minor newspaper article in The Washington Post about a burglary in the office of the National Democratic Committee on the day following the break-in. However, nobody that I knew drew any conclusions from that. So this was not anything that one even considered at the time. I left the NSC staff in May 1973. I always thought that I would be coming back into government service and I also suspected that I would be coming back with Kissinger a few months later. However, as I left government service in May 1973, I was not really aware of the Watergate affair. I came back to government service in September 1973. I can’t vouch for Kissinger’s views. I suppose by then that he was beginning to see that this incident and its fallout were beginning to become a problem. However, I only became aware of this gradually. As of the fall of 1973 we didn’t think that it was going to become all that serious, as Kissinger was appointed Secretary of State. Shortly afterwards, and certainly in the course of 1974, it began to become obvious that the situation involved in the Watergate affair was serious, although I don’t have the exact timeline here. The point I’m making is that there was no one day when we realized that we were facing a crisis, as events happened, and some of them were more dramatic than others. He was the one person that people thought that they could trust or who had stature, in addition to the fact that he was untainted by the Watergate affair itself, except for the peripheral dimension of wiretapping. Kissinger was also the one American official respected abroad. So I think that was one of his more heroic accomplishments, holding our foreign policy together despite the weakness of the executive branch…. A key point about the Nixon/Kissinger strong reaction to the leak of the Pentagon Papers. I fully shared their view that this was unpardonable. Whatever one’s views, you don’t leak a huge amount of classified material. Moreover, all the study and embarrassing revelations were about the Kennedy and Johnson Administrations. So Nixon and Kissinger were defending not against personal embarrassments for their Administration but the general principle of conducting government for future presidents. In addition, this was in June 1971, a few weeks after we had made our major, secret proposal to North Vietnam to try and end the war, and a few weeks before Kissinger’s secret trip to China. Obviously the domestic uproar over the Pentagon Papers did not give Hanoi an incentive to respond positively, though this was not the decisive factor…. I believe that sometime in the spring of 1970 wiretaps were put on the phones of about a dozen people, including several of us on the NSC staff and a couple of journalists. I don’t have a complete list of the people whose phones were being wiretapped. There were about a dozen. Now, why were we picked? Because these were national security leaks, involving Vietnam and Cambodia, and there may have been other aspects. 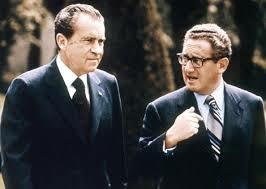 Nixon and Kissinger felt that these leaks could really undermine our foreign policy. We had secret negotiations under way with North Vietnam; we had secret negotiations on the opening to China, and secret dealings to a certain extent with the Soviets. If all of these matters were leaked to the public, it would inhibit our efforts to conduct relations with those countries. It would also tell the Chinese and the others that we couldn’t be trusted to keep secrets, and this would complicate everything…. The reason that some other members of the NSC staff and I were chosen to have their phones tapped was that some of the information which had leaked had been so tightly held that only a few people knew about it. Therefore, the phones of those who might be suspected of having the ability to learn about the information which leaked were tapped. In my case I had access to just about every conceivable secret in the field of foreign policy that we had. I was Kissinger’s right-hand man and was in the middle of many secret negotiations on various fronts. I was one of the few people who could have been suspected of leaking this material. In addition, Secretary Kissinger’s staff was suspected by Nixon and his people of being liberal Democrats from, God forbid, the State Department and academia, and were considered to be rather suspicious. In fact, we were quite moderate and liberal, compared to the people on the domestic side of the Nixon White House…. In fairness, we were the ones who had the information, and he couldn’t be selective about the persons whose phones should be tapped. He already felt sensitive because President Nixon felt that Kissinger’s staff was overly liberal anyway. Furthermore, Kissinger would argue that he had been assured that it was legal to engage in wiretapping, which it was, however uncomfortable one might feel about tapping someone with whom you were working every day. So that was his defense. I didn’t know anything about the wiretapping, but I will say this: Even though I didn’t know anything about it, I had suspicions, which I didn’t really believe, that might be going on. I had a couple of reasons for this. My phone had some funny clicks on it at times…. I didn’t know anything about the tap on my phone until May 1973. I was just about to leave government service for the reasons that I’ve just mentioned. I was exhausted, and things looked good in the foreign policy field, and particularly in my areas of specialization. I would like to think that I gave the right response, though I think that it was probably a little bit on the soft side. We had been through an awful lot together. I knew the entire context and was outraged myself at the leaks. I felt that wiretapping was terrible in principle, but the leaks could hurt our foreign policy. I also knew that Kissinger had a staff that was considered liberal and that it was under suspicion from the White House. With all of his stature, there were still people who didn’t like Kissinger, and he was somewhat vulnerable in the White House. I also knew that I was one of the few who knew all of the secrets which had been leaked. So for all of these reasons, I’m sure my response was restrained, to be sure. I didn’t embrace Henry Kissinger, as it were, and say, “Thank you very much for having my phone tapped.” I certainly didn’t. I didn’t suggest that I approved of what had been done. However, I have to be honest. I was not outraged and didn’t express outrage. I don’t remember exactly what I said but I didn’t make this meeting difficult for Kissinger. I said something to the effect that this didn’t seem to be a very effective way of stopping leaks, as a practical matter. I said that I wasn’t going to hold this against him, or something like that. It certainly wasn’t overly unfriendly, and I wasn’t tough with him, for all of the reasons that I’ve mentioned.